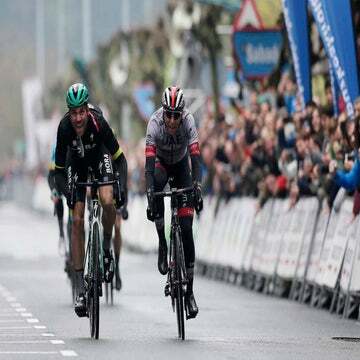 Adam Yates (Mitchelton-Scott) punched clear on the final climb of the day to take the victory on the final stage of Tour of the Basque country, Saturday. Ion Izagirre (Astana) was part of a key five-man move that went clear with 65km to go, and finished fourth on the stage. 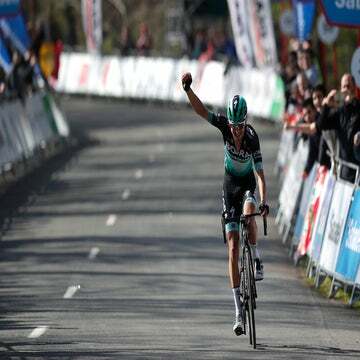 Crucially, the break put sufficient time into the chasers – which included overnight GC-leader Emanuel Buchmann (Bora-Hansgrohe) – to give Izagirre the overall. The stage was a punchy mountainous loop around Eibar, clocking only 118 kilometers. The pivotal break went away on the third climb of four of the day, with Yates, Izagirre, Jakob Fuglsang (Astana), Dan Martin, and Tadej Pogacar (both UAE-Team Emirates) jumping clear. With two riders from Astana chasing the overall victory for Izagirre, and two from UAE-Team Emirates working to place Martin on the podium, the breakaway worked well, and soon put a significant gap on the chase group. Buchmann worked hard to peg back the gap as he sensed the GC slipping out of his grasp, and was able to winch back some time on the final ascent of the day. The lead quintet remained together until the short final kick on the day, at which point Yates pushed clear and held off his breakaway companions to take the stage. His victory is some reward after losing valuable time early in a race he may be left thinking could have been his. 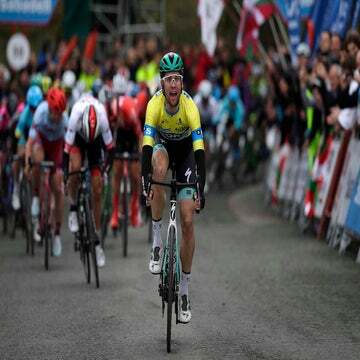 Martin and Fuglsang took second and third respectively. Buchmann looked to have salvaged enough time to make a spot on the podium as he came into the final kilometers through the streets of Eibar, however he mistakenly took the exit intended for race vehicles rather than that of the stage route, losing valuable time. Despite his best efforts, he came in 1:36 behind Yates, leaving him in fourth overall – just seven seconds off the podium. The GC reshuffle saw Martin move up to second, while Fuglsang took third overall – giving Astana two spots on the podium and a reminder of their early-season success.